Decided that the Bow has had its day for me and opted to switch to something which suits my style more. Getting a 12m and 7.5m Cult. 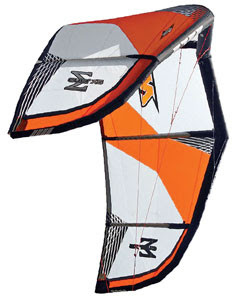 The new Sigma shape and 5-strut design of the 2008 Cult supposedly produces a user friendly all-terrain kite that works in all conditions for 90% of the worlds riders. And lets face it I am not the top 10% by any means. Looking foward to wave-sailing most of all where the kite sits further back in the window – instead of faling out of the sky with every bottom turn like my Bows did. Stability, easy handling, water relaunch, low bar pressure, and depower performance come together in the 2008 Cult to improve on the performance standard set last year by the test winning Boxer SLE. 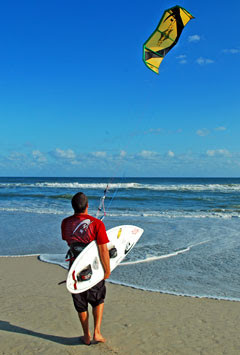 Geo-tech and the Sigma shape stabilize the 2008 Cult, and provide a performance that eclipses the most technical kites on the market. Light, consistent bar pressure provided by the 1:1 2008 SLE Control System inspires confidence for all rider levels by smoothly transmitting control inputs.